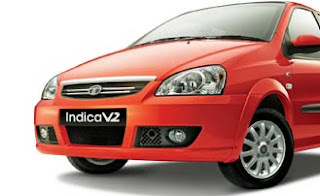 Tata Motors support has decided to build a small car factory on 997 acres of farmland in singur near Calcutta. Farmers and Trinamool Congress leaders become violent to enter the project site. They threw bombs at project sites also. Violence has continued there since then. How they get bombs there and can openly use them? It looks there is a law and order problem there. Anyway, my concern is whether brand ‘TATA’ is suffering from these events are farmers are really suffering from this deal or is this only political propaganda only. Tata is most trusted and nationalist brands in India. Due to these events it may looks that Tata is against countrymen. Tata has planned to install small car project there, which will be priced very low. The plan was selling a car at Rs 100000 only by 2008. State government has tried to save TATA Motors factory, but failed to build consensus with opposition Trinamool Congress. The plant will initially directly employ 2,000 persons, and is expected to create employment in excess of 10,000 jobs among the vendors and service providers in the vicinity of the plant.